Find a comprehensive list of car dealers in and around London, England. Offers extensive range of second hand cars featuring all makes and models. Get the best prices and widest choice on quality used cars in London. UK’s largest manufacturer owned Mercedes-Benz retailer with dealerships across London. Delaware Drive, Tongwell, Milton Keynes MK15 8BA, United Kingdom. located in Greater London, Middlesex, Hertfordshire and Buckinghamshire. Currie Motors Dealerships in Chiswick, Isleworth, Twickenham, Barnet & Kingston. Coombe Lane Fly-over, Beverley Way, London SW20 0AD, United Kingdom. News cars, used cars, service and parts. A family owned Motor Group with 15 locations across London & Kent area. Representing as authorised main dealers for 6 Brands (Vauxhall, Peugeot, SEAT, Suzuki, KIA & Hyundai) across the area. Mayfair Prestige UK Ltd is a used car dealer in City of Westminster stocking a wide range of second hand cars at great prices. Visit today for affordable used cars in London. 91 Crawford Street, City Of Westminster, London W1H 2HD, UK. 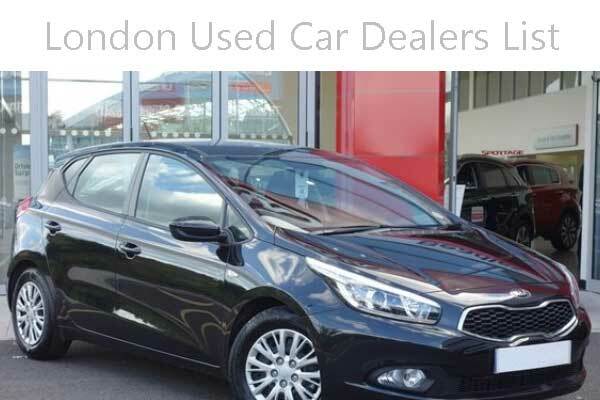 New KIA (latest range of KIA cars) & Used KIA Car Dealer in Coulsdon, Surrey. Online service booking for car services / MOT. Surrey CR5 2AR, United Kingdom. Used manufacturer approved vehicles in stock. All come with a comprehensive three years parts and labour warranty, backed by RAC, 12 month RAC breakdown cover and MOT test insurance. visit website for available used cars stocks and details. Leesons Hill, Orpington, Greater London BR5 2LF, UK. New Audi Cars & Audi Approved Used Cars, Servicing and Repairs in Hertfordshire & North London. 279 Finchley Road, Behind the O2 Centre, London NW3 6LT. Main Mitsubishi dealers for the Kent, Surrey and Sussex areas. The Masters Group is one of the largest privately owned (estd. over 50 years) dealership groups in the UK and you can confidently rely on to satisfy all your motoring needs. Phone : 0208 777 0901 (Sales). Used Cars dealership in Heathrow – Now Motor Retailing Limited. New Cars, New Vans and Used Car by Location – Used Cars Staples Corner, Used Cars Heathrow, Used Cars Richmond. Used Cars Kingston, Used Cars Hayes, Used Cars Byfleet, Used Cars Marlborough, Used Cars Swindon. SMC Cars / Bestodeck Ltd.
SMC Cars proudly represent Ford, Mitsubishi and Suzuki across Kent and London. Find SMC Hillingdon used cars. Used Vehicles – Used Ford, Used Ford Vans, Used Mitsubishi and Used Suzuki. Also offers new vehicles, servicing and repair etc. Offers a wide range of quality Hyundai used cars. Alternatively, you can visit showroom to find out more. 36 Station Rd, Sutton SM2 6BS, UK. New and used Hyundai car dealer in Sidcup. Maintain a stock of high quality used / second hand Hyundai vehicles at it’s Sidcup dealership. Kent DA15 8PT, United Kingdom. New and Used Ford Car Dealer in Harrow, West London. London used car dealer. Founded 2006, One of the largest multi franchise groups covering North London, Hertfordshire and Essex representing Audi, BMW, MINI, Volkswagen Commercial Vehicles, Peugeot, SEAT, ŠKODA and Jaguar. BMW New & Used Cars for sale, Servicing, MOTs and Repairs in Hertfordshire, North London & Middlesex. Cheapest New Hyundai Cars and Hyundai approved used car dealer. Hand-picked selection of only the finest used Hyundai cars for sale. Your local Hyundai dealer – Walthamstow, Leyton, Leytonstone, Woodford in London or Loughton, Chigwell, Buckhurst Hill or Epping in Essex or even Enfield in Middlesex. Serves customers throughout Essex, including Ilford, Romford, Chadwell Heath and Hornchurch. 47-59 Chingford Mount Road, London E4 8LU, England. Hamiltons of Tulse Hill, London. You can buy your used car from this showroom in London. Stocks a wide range of quality used cars that are ready for viewing today. Visit online to see some recently added used cars. Other services from this car trader is “Part Exchange” and “Financing”. Used car dealer in Balham. Offer some of the most competitive deals on used cars around London and across a variety of car brands. Other services are “car exchange” and “buy cars”, car finance, car servicing. Sat : 08:00am – 16:00pm, Sun : Closed. 8am – 2pm – Saturday. Page updated : 1 November, 2018.